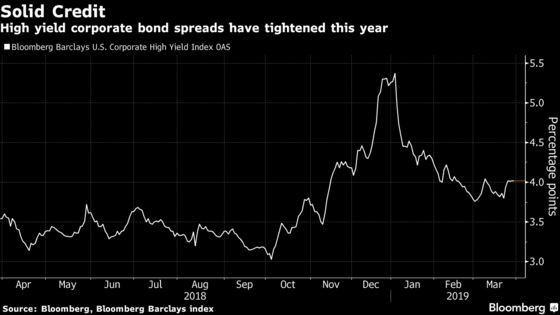 (Bloomberg) -- The global bond market’s soaring performance has left investors queasy about the ride ahead. The Bloomberg Barclays Global Aggregate index has earned 2.3 percent through March 28, its best quarter since mid-2017. But with yields sinking across major sovereign markets, investors now face a dilemma. Buying government bonds at these levels is perilous because economic data may improve, while taking more risk could leave investors nastily exposed to a global downturn. Jim Caron at Morgan Stanley Investment Management sees an opportunity to pick up yield after the Federal Reserve’s dovish pivot, which he says has unleashed value in lower-quality corporate debt. Emerging-market dollar bonds and local Mexican debt look more inviting for Charles Diebel at Mediolanum Asset Management. But Tano Pelosi at Antares Capital expresses a common refrain: With the U.S. expansion almost a decade old and the yield curve flashing recession warnings, investors should tread carefully. This is a long way from the rallying cry of post-crisis investing, when weak growth and accommodative central banks spurred a hunt for yield. There’s more trepidation than thrill-seeking in today’s markets, and it’s not only the growth outlook that could derail these strategies. Prospects for a China-U.S. trade resolution are in flux, and a calamitous Brexit is a possibility. Investors may be confident that the Fed is out of action next quarter, but the gulf between the central bank’s views and the market’s leaves plenty of room for volatility. The percentage of cash has doubled to around 12 percent in recent months in the Santa Fe, New Mexico-based firm’s Strategic Income Fund. Thornburg has also moved to higher-quality credit in two other portfolios over the past year. While few seem convinced that the global economy is on the brink of recession, they’re not ready to contradict the market view that the world is in a worse place than it appeared just six months ago. “Versus 2018, our stance is very different,” said James Athey, money manager at Aberdeen Standard Investments in London. “We’re owning safety essentially,” he said, and positioning for the end of the economic cycle. That includes bets on yield-curve steepeners in the U.S. and disinflation in the euro area and U.K. Some who are venturing further out the risk spectrum sound downright reluctant. 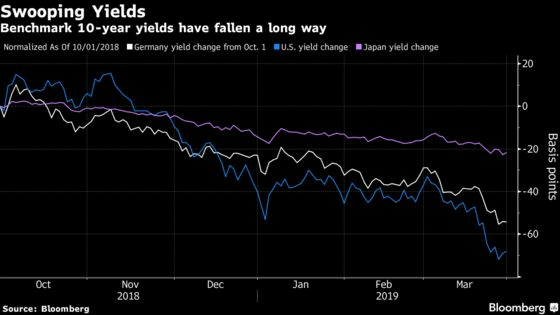 “Japanese investors have little choice but to continue pouring their money into European bonds,” said Satoshi Nagami at Sumitomo Mitsui Asset Management, citing meager domestic yields and unattractive hedging costs to invest in the U.S. The Tokyo-based portfolio manager said French bonds would probably remain popular, and investors could look at the peripheries such as Spain, though he draws the line at Italy. Judging by the strong performance of Italian debt recently, stronger stomachs are prevailing, however. Italy’s 10-year yield has fallen almost a half-percentage point since early February, to 2.49 percent. It’s still about 260 basis points above its negative-yielding German counterpart. “We continue to trade Italy from the long side given the high real yields on offer,” said Nicholas Wall, a money manager at Merian Global Investors in London, though they’ve trimmed their position on rallies in recent months. One view these investors have in common is that whether or not a market shock or economic slump are nigh, central banks have investors’ backs. For Wall, this is a reason to avoid volatility trades that might otherwise flourish at the end of a cycle. 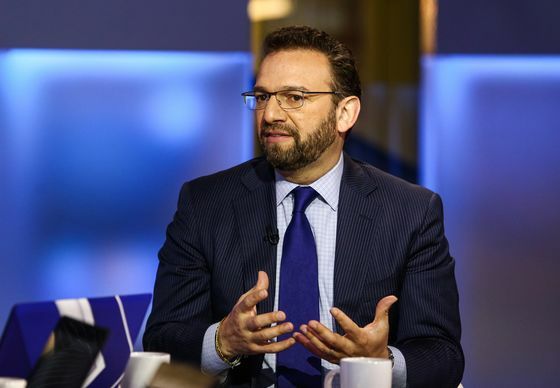 “While we’ve had the spike higher recently, we believe central banks will come out in force to push volatility lower if it feeds into financial conditions,” he said.